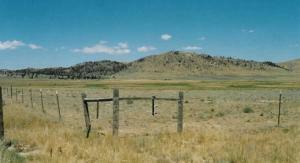 Shining Mountains West is part of the old Robison Ranch in the North Meadow Creek area of the valley. The whole subdivision has spectacular views down the whole Madison Valley, including Ennis Lake. These 20-acre parcels have varied terrain - from the flat, productive lots in the old hayfields with irrigation ditches and shared water rights up to the mountainous lots with trees, large rock outcropings and seasonal access. Some lots border BLM public lands. Shining Mountains West holds the water rights and a certain number of irrigated acres are specified for the lots, based upon historical usage. The water is managed by the SMW Water Association.